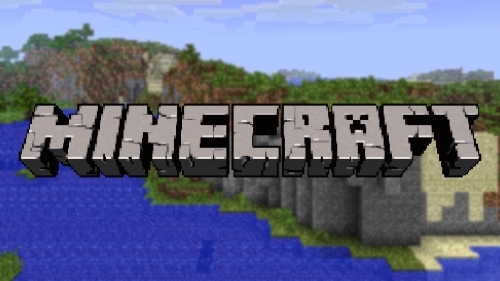 Minecraft is currently one of the most-played MCMMO games with over 100 million registered users. Minecraft can be played as a single player, or you can play on multiplayer servers with hundreds of other players. Many players on multiplayer servers create YouTube channels, then record their game play. These Minecraft "YouTubers" often amass thousands, or even millions, of subscribers and followers who keep up with their videos. For instance, one of the most popular Minecraft channels, YOGSCAST Lewis & Simon, has around 7.2 million subscribers. Others include The Diamond Minecart (around 5.9 million subscribers), PopularMMOs (around 4.2 million subscribers), and PrestonPlayz (around 1.4 million subscribers). Why should you download Minecraft videos? Watching Minecraft videos online is no problem, you simply browse to the user's YouTube channel and watch. But if you want to watch the videos at a time when you are offline, such as on a vacation or a long drive in the car, flying in an airplane, or any other time when internet is not available, you may be out of luck if you don't know how to download Minecraft videos to watch offline. YouTube does not currently provide any way for users to download videos from the YouTube web site. However, there are some great third-party applications that allow users to download content directly from YouTube. The simplest and most efficient method of downloading Minecraft videos is to use the 4K Video Downloader. The 4K Video Downloader makes downloading Minecraft videos from YouTube as easy as copy and paste. You simply copy the URL of the Minecraft video that you wish to download, then paste that URL into the 4K Video Downloader, and the program will do the rest. You can change a few additional options if you wish, such as the quality of the video (choose from low-quality all the way to 4K quality! ), a custom file location, and the format you wish for the file to be downloaded in. You can choose from a variety of common file formats including MP4, MKV, M4A, MP3, FLV, 3G, and, if you find an entire playlist of Minecraft videos, you can download the ENTIRE playlist by simply copying the playlist URL, then pasting that URL into the 4K Video Downloader. The program even allows you to create an .m3u file for the playlist. The 4K Video Downloader is not just for YouTube. You can also download Minecraft videos from Facebook, Vimeo, DailyMotion, Flickr and more. The program is compatible with most operating systems, including Windows, Mac and Linux. If you find any Minecraft videos in 3D format, the 4K Video Downloader can download them with no problem as well. One of the best things about the 4K Video Downloader (besides the fact that it's free) is that the program is guaranteed to be 100% clean— absolutely no viruses, spyware, adware, malware or any other malicious code. Download the 4K Video Downloader, and save your favorite Minecraft videos to your hard drive now!